'Anemone Mine', the latest addition to my Anemone series. 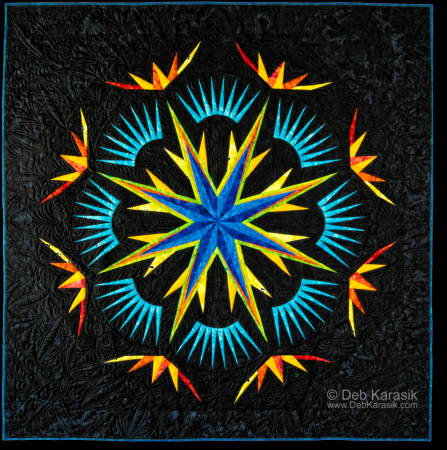 Beautifully quilted by Sue Heinz, Kismet Quilting. Click here to see a close-up image of the quilting detail. Click the 'Buy Now' button below to purchase this item.